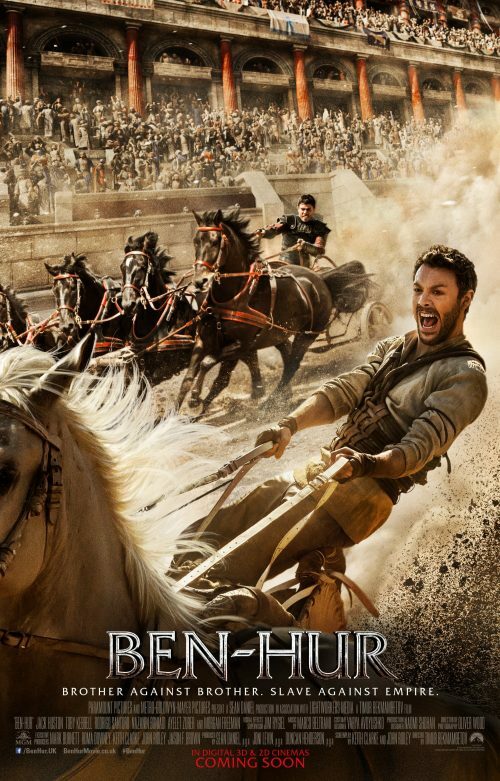 Earlier to day a new poster for Ben Hur arrived. If you have seen the previous one you may spot a similarity. Not only that, it seems that there are some things fundamentally wrong with it. It just looks like someone has said “Just add another racer at the back“. Somebody just did that. They didn’t worry about trying to match the same colours as the original image / poster. It seems they just plonked it in! It does have a new tag line compared to the previous one. I don’t think it’s as good.